New Listing: 725 Harrington Road, Westsyde, Kamloops BC, $369,900. Fully updated Westsyde home in a great location. 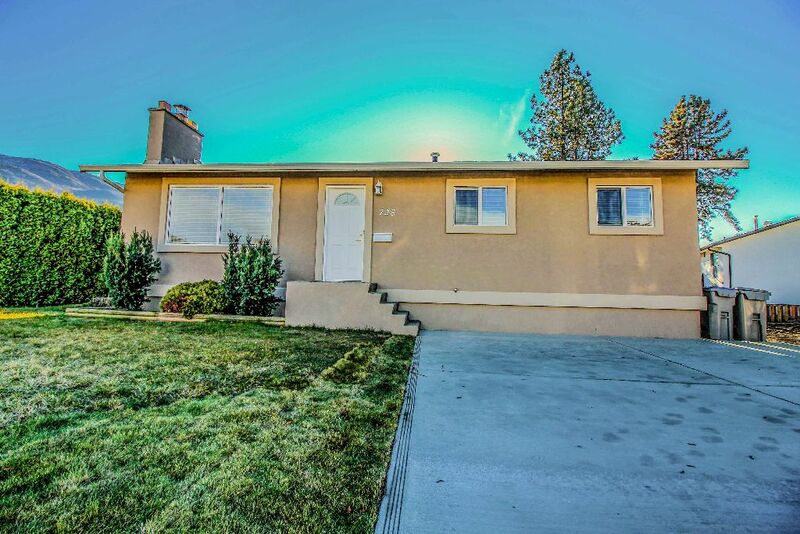 This home includes many updates: stucco, windows, all flooring, kitchen, bathrooms, roof, 200 amp electrical, water and sewer lines, light fixtures and paint. The main floor features hardwood flooring and tile with a semi-open floor plan. The kitchen has a ton of storage, stainless steel appliances with natural gas range and a nice sized pantry. There are 3 bedrooms on the main floor with a 3 piece main bathroom. The basement is fully renovated with all new carpet in the family room, fourth bedroom, good sized 4 piece bathroom and lots of extra storage. The yard is partially fenced with a large storage shed and covered deck. Nothing left to do but move in!